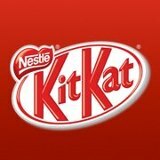 Kit Kat on facebook posted this on their Kit Kat facebook page a couple days ago: Big announcement coming soon! A big, CHUNKY announcement. Any guesses as to what it might be? UPDATE: Kit Kat Canada just posted: The KIT KAT Chunky Challenge is here! 3 NEW limited edition flavours (like Chunky Peanut Butter). You pick which one stays and can win BIG prizes. Vote now (for PB!) Click here to like them and vote for your favourite for your chance to win a trip for 4 to 1 of 3 destinations!